Asante Kotoko head trainer, CK Akonnor, has promised nothing but the best of games when his side clash with Zambia’s Electricity Company outfit, ZESCO United in Kumasi today. Today’s encounter, the second Group C game was originally scheduled for 1pm but has been rescheduled to 4pm after several calls from the home side. That, according to coach Akonnor, offers his charges an opportunity to translate what they have rehearsed in the last few days to good play, considering the expected fine weather. 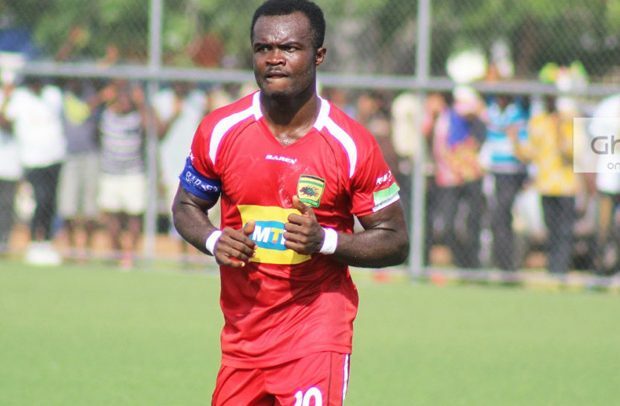 Kotoko are yet to record a point in the competition having lost their Group opener to Sudan’s Al-Hilal 0-1 in Omdurman. And to coach Akonnor, they have invested by way of training to breathe life into their campaign with a win. Camp news suggests that goalkeeper Felix Annan, Amos Frimpong, Augustine Sefah, striker Songne Yacouba, Maxwell Baako, Ismail Ganiyu, Agyemang Badu, Richard Senanu Kwame Bonsu and others appear combat ready for today’s task. Earlier, management of Kotoko had made a clarion call on their fans to throng to the Baba Yara Stadium to rally massive support for the Porcupine Warriors. ZESCO opened their account with a 2-0 win over compatriots-Nkana and are hoping to return home with a good result.